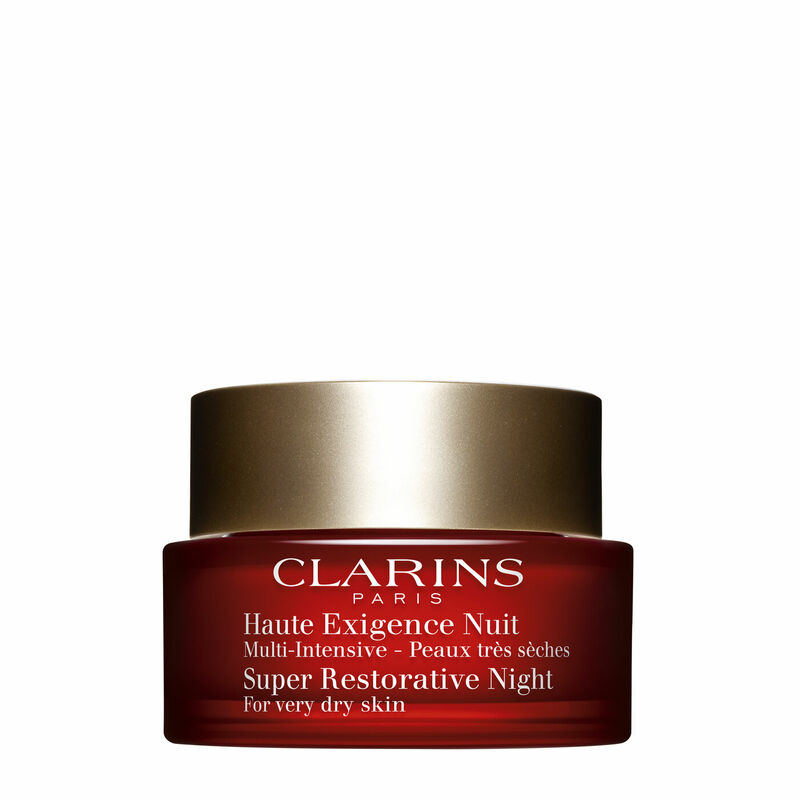 Super Restorative Night Wear meets the specific needs of skin challenged by hormonal changes due to the aging process. Exclusive organic Harungana extract, a "healing" tree from Madagascar, replenishes the skin at all levels* while an extraordinary plant extract, Montpelier cistus (a "phoenix" plant), boosts complexion uniformity**. Night after night, the skin is replenished, lifted and unified. Intensely nourished and moisturized, it is left radiant and glowing with beauty. Rated 5 out of 5 by Gracenotes from Worth the price I have wasted a lot of money over the years on products that were too greasy or too harsh for my sensitive skin. This is perfect for me. The texture of the cream is lovely and I noticed a difference in the appearance of my skin after a couple of weeks.